Starting this thread seems to carry some undertones of guilt, but shouldn’t do I think, and certainly not for those already retired. 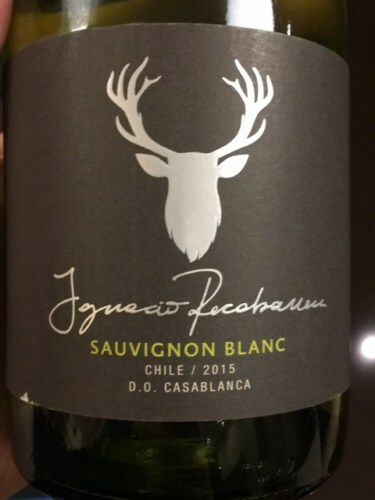 2015 and other vintages of Sauvignon Blanc! The review quoted says gooseberry and blackcurrant leaf. I thought gooseberry and nettles. Now I’m wondering if blackcurrant leaves and nettles have quite a similar aroma? I just don’t know. It certainly tastes quite dry and quite acidic but in a much gentler way than most from NZ. Haha! Retirement should be enjoyed! I understand what you mean by nettles / currant leaves. Now I’m wondering if blackcurrant leaves and nettles have quite a similar aroma? Not really, even allowing for the fact that a lot of these descriptors are more impressionist then scientific! Blackcurrant leaves smell strongly of that pungent smell and taste you get if you eat fresh blackcurrants. I’ve had blackcurrant leaf ice-cream once at a London restaurant. The taste tends to go away with prolonged cooking - as I noted in the thread on artificial aroma kits, the scent noted as “cassis” is actually the scent of cooked blackcurrants, not fresh ones or leaves. But maybe different people perceive things differently - a fact that tends to bedevil all this sort of discussions. I don’t really have a smell in mind. A memory of a smell? Is there a word for a memory of a smell? Certainly do have a strong memory(?) of nettles which I would describe as quite pungent too. But enjoyed the wine anyway! Like you I have very strong memory of nettles’ smell, having sat (inadvertently!) on quite a few of them as a child. I am better at selecting resting spots these days, thankfully. The other strong ‘memory’ of smell I have is of tomato leaf. It’s so pungent and yet so evocative of freshness - I just love it, and love encountering it in wine from time to time. The other strong ‘memory’ of smell I have is of tomato leaf. It’s so pungent and yet so evocative of freshness - I just love it, and love encountering it in wine from time to time. Goodness, yes! But it’s quite rare I think. I have one bottle left of an Australian sweetie made from Touriga Nacional which shows it quite distinctively. Can’t argue with that! But I definitely (as ‘definite’ as one can be about smells in wine) smellt it in a Sauvignon Blanc - I think it was one from Friuli, but will have to check, and - this might seem strange? - in a Carménère (Santa Rita, Medalla Real, 2015 - not 100% sure about the vintage). Yes, Carménère often has that sort of smell to it so that one doesn’t surprise me. I don’t think I can recall having had an SB with it though. Ah! I wasn’t aware of this - so good to know! I’m determined to find the SB notes now, if only to ensure I’m not going mad!! I can’t recommend it highly enough! It tastes like a notch above the usual Fino (which I love) – deeper in flavour, floral and rich on the palate, but with this lovely tang of brine and nuttiness. Excellent stuff! Lovely pink, with fine nose of rose petals, raspberries and even a bit of aniseed. The palate, however, is a little less interesting; there is good fruit (raspberries, strawberries, I even think rhubarb), and nice mineral notes – but there’s a bitter finish which is really putting my other half off. I sense it more as ‘spiciness’, but he’s not that keen on this one. The acidity seems a little off kilter as well. That is exactly what puts me off a lot of rosés. There are exceptions, which I enjoy. I like sherry but simply can’t find one my partner will even deign to have half a glass of. Which means I sadly don’t buy it anymore. Might sneak the odd glass in Sevilla next month though. Fortunately she is a big Musar fan. I like sherry but simply can’t find one my partner will even deign to have half a glass of. 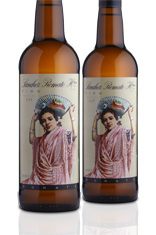 I have recently given up on trying to convert my other half to Sherry. He genuinely dislikes it - whatever the style. It can’t just be the oxidative notes - because he adores white Port, which often has similar notes- so I think it’s the flor and its associated flavours. I buy it regularly for myself - though usually stick to half bottles or 50cl. Have made a note of the ones I really enjoyed so hopefully when I find out what they are they won’t be ridiculously priced. Red, white or rosé Musar? That is exactly what puts me off a lot of rosés. I can’t say that I associate bitterness on the finish specifically with rosé, though- and I do drink quite a few. There are a few whites that I associate with that sensation - e.g. Vermentino, Arneis, Verdicchio - but I quite enjoy that bitterness, as it livens up the finish, and is often supported by the acidity. Yesterday’s rosé was bitter in a more ‘tannic’ way, if that makes sense? It did soften up a little with the food though. I’m in agreement with @szaki1974, I find it in a lot of rosé but not in some of the other styles you mention such as Arneis. 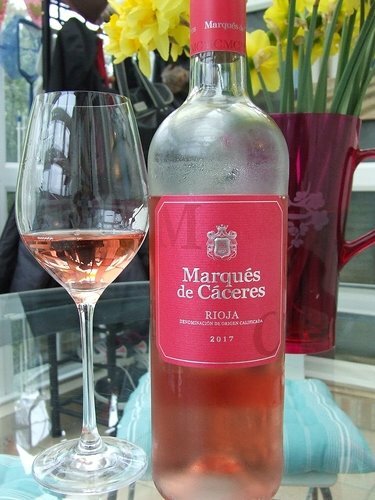 I find some rosés have a tart bitterness which has nothing to do with the overall acidity of the wine. I wonder if, for some of those at least, this is to do with the tannins? Perhaps those wines where there is brief maceration on the skins show less of that? As for the bitterness I often perceive in Arneis, Vermentino et al - I sense it more as a bitter herb, or bitter almond, so associate it more with the varietal character itself rather than the winemaking process. But these are all assumptions - I don’t know for sure. I wonder if, for some of those at least, this is to do with the tannins? I don’t think so, as I can find it in some very light saigneé rosé and less so in the more macerated ones. Maybe it has more to do with the ripeness of the grapes at the time of pressing and/or whether they are whole bunch or not.